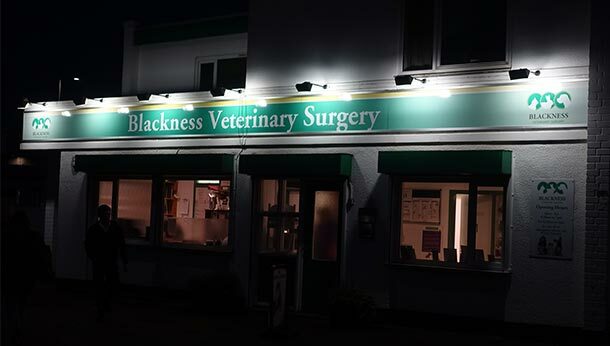 Blackness Veterinary Surgery is delighted to announce that we have chosen Vets Now to act as our Emergency Service provider from November 12th 2018. Barbara and the team at Blacknessvets feel this is best for your pets and also best for our vets, further improving the quality of service we already provide. Working regular night shifts, Vets Now are the leading veterinary emergency care provider in the UK and they specialise in emergency and Out of Hours Care. Having a vet and a nurse ready and waiting to help your pet in an emergency situation when your local practice is closed and monitor them throughout the night if your animal has to stay in hospital is a great move forward in the Veterinary world. The clinic is readily accessible in Kings Cross Road, Dundee. All you need to do is telephone the normal Blackness number 01382 225422 and follow the instructions on the answering machine message. Please note: Out of Hours service is always more expensive than during the normal working day - Vets Now will inform you of the cost of treatment in advance should you need to use this service.